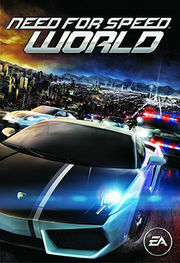 The development of this game started prior to the release of Need For Speed: Carbon (2006). However, intense devotion to finish the product didn't begin until late 2008. 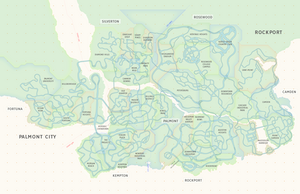 The first beta test was held in Taiwan in October 2009, but only for residents of that area. On 5<small>th</small> March 2010 the first American/European closed beta was released for a limited number of players, and there have been five more betas since, with the number of players being increased each time. A stress test was also conducted to test the servers' capability to handle a lot of traffic. The game was finally released worldwide on 27<small>th</small> July 2010 via download. However, those who ordered the ''World Starter Pack'' had a head-start one week earlier (on 20<small>th</small> July 2010). The game ultimately received mixed reception, with a MetaCritic average of 62/100, and a GameRankings score of 63.83%. 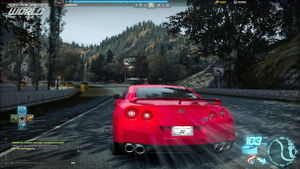 The game offers the ability to start crews, and as such an official '''[[NFSUnlimited.net]] World Racing Crew''' exists. You can apply for it [http://forum.nfsunlimited.net/viewtopic.php?f=163&t=18635 at this topic in the forum]. Since its release, Need For Speed: World has seen a continuous development, as the developers provide more content to the game usually every 2 week, such as new cars and game modes, and a wide variety of fixes and improvements, as is normal with massive multiplayer online games. Here is a list of the most important additions since the release. Roughly 2 months after the initial game release, on 9<small>th</small> September 2010, World had reached 1 million registered players, and by December 2011 the number of registered players had reached 10 million. During the second anniversary of the game, in July 2012, it was revealed that the number of registered players had reached 17 million.